'Baahubali: The Conclusion' collected over $16 million in USA alone by the end of its full run. 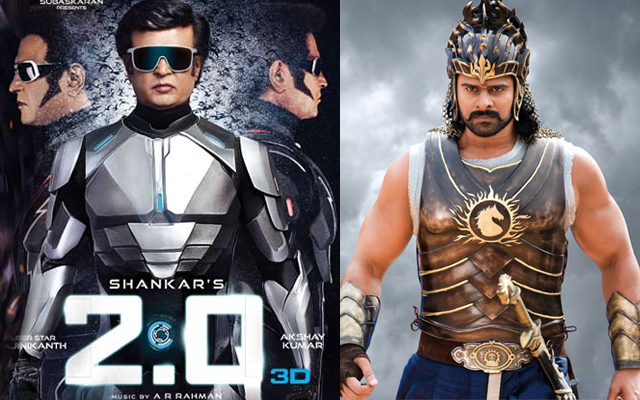 How much did '2.O', which is India's Costliest Flick, manage? The Sci-Fi Thriller collected $3.75 million (Rs 26.4 crore) by the end of 4-days First Weekend. By first Tuesday, Total Gross is anywhere around $3.88 million. Which means, Response has been poor during the weekdays. In contrast, 'Baahubali 2' managed to rake in $12.28 million within the first six days itself. The margin of difference between '2.O' and 'Baahubali 2' is so big. It's more like Four 2.Os are required to match One Baahubali. Overall, '2.O' disappointed the Trade Circles because the collections have been way too less than the expectations. It should have been decent to good had if the Sci-Fi Flick collected at least $8 million by now.